‘Superstar’ Rajinikanth has announced his next project with director A.R. Murugadoss. Since the announcement of the project there has been many titles and plots reported to be of the film, while Murugadoss has kept confirming them as ‘Not True’ through his Twitter handle. 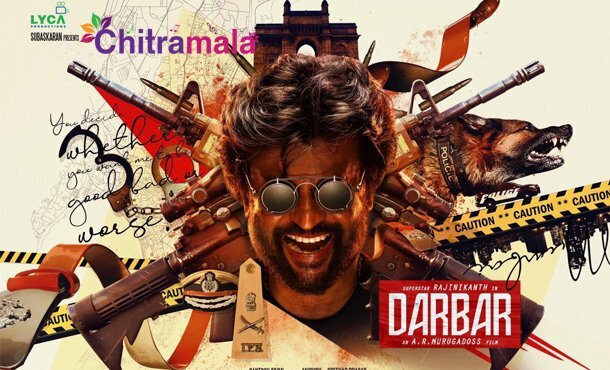 Yesterday, Lyca Productions has posted an update stating ‘#Thalaivar167 – #ARM First Look Out at 8.30 AM tomorrow’ through their social handles, and the first look and title are revealed to be ‘Darbar’, feat. Rajinikanth with his charming smile. Rajinikanth will be seen as a cop in the film, while ‘Lady Superstar’ Nayanatara is roped-in to play his love interest and Nivetha Thomas will be essaying in the role of his daughter. Ace cinematographer Santosh Sivan will be helming the camera works, while surprisingly, Anirudh Ravichander is on board to compose the soundtrack. The film was announced after Rajinikanth announced his political entry. Produced by Lyca, the film will go on sets next month in Mumbai.